The International Registry in Organ Donation and Transplantation maintains an informative international database. The Abdulkadiroglu, Agarwal and Pathak paper on the effects of school choice in NYC has now come out in the December 2017 AER ( 107(12): 3635–3689). They find substantial welfare effects in moving from NYC's old decentralized high school choice system (in which individual schools made uncoordinated acceptance decisions, so some students received multiple offers while others got none) to the stable matching system (using the deferred acceptance algorithm with single tie-breaking) now used. They don't find big gains from trying to reach a student optimal stable matching by revising the tie-breaking decisions. "Coordinated single-offer school assignment systems are a popular education reform. We show that uncoordinated offers in NYC’s school assignment mechanism generated mismatches. One-third of applicants were unassigned after the main round and later administratively placed at less desirable schools. We evaluate the effects of the new coordinated mechanism based on deferred acceptance using estimated student preferences. The new mechanism achieves 80 per-cent of the possible gains from a no-choice neighborhood extreme to a utilitarian benchmark. Coordinating offers dominates the effects of further algorithm modifications. Students most likely to be previously administratively assigned experienced the largest gains in welfare and subsequent achievement." Those of us who can publish in our native language are fortunate, and so there is a useful market for editing services for non-native speakers (and, frankly, everyone can sometimes profit from a little editorial assistance). -Are you from a non-English speaking country but wishes to publish your article in an English journal? -Has your manuscript been rejected for publication due to bad English? -Does your article requires editing and proofreading but do not have the time to revise it?" These are volatile times for prisons in England and Wales, with overcrowding and record levels of violence. Can a new scheme that aims to do what Teach First did in schools change things from the inside? "Jack is one of the first cohort of Unlocked Graduates, a new, two-year prison-officer training programme modelled on the phenomenally successful Teach Firstscheme, which takes ambitious graduates and, after minimal training, parachutes them into inner-city schools where they are tasked with raising the aspirations of some of the most deprived children in the country. "Teach First has been the biggest graduate recruiter for the past three years, training more than 1,400 graduates each year. Almost 60% remain in teaching with the rest going out into the world, tasked with building a movement of people leading efforts to tackle educational inequality in schools and beyond. About a fifth of teachers in low-income schools are now Teach First graduates, around 70%of them from elite Russell Group universities. Unlocked Graduates works in the same way and hopes to mirror Teach First’s success inside prisons – and outside, too. The prison system is, without question, in urgent need of help. Two-thirds of prisons in England and Wales are overcrowded, with the population rising by more than 1,200 places in the 13 weeks since May. It is now higher than at any other point in the past four years. Ministry of Justice (MoJ) figures show 68% of prisons are housing more inmates than their “certified normal accommodation” – the limit for ensuring a “good, decent standard”, with some more than 50% over capacity. "According to a report last month by the HM Inspectorate of Prisons, prisoners are living in cells that are too small, with inadequate ventilation, damaged furniture and unscreened, unhygienic toilets, for up to 23 hours a day. And with almost half of all prisoners returning to prison within a year of release, it is clear that more needs to be done to break the cycle of reoffending." Kidney transplantation is victim of its own success. Due to its excellent outcome, indications have expanded and more and more patients are registered in the waiting list. However, the number of available organs has not been able to rise at the same pace, and this has led to a dramatic increase of the mortality and dropout rate of patients while on the waiting list. This chapter will illustrate the strategies that are currently being devised and implemented in order to increase the supply of transplantable kidneys. Kidney disease is a very big deal in poor countries as well as rich ones. Chronic kidney disease (CKD) is a major global health burden and a public health priority. Because of its high prevalence (approximately 1 in 10 adults worldwide), CKD is associated with the risk of end stage renal disease (ESRD), cardiovascular disease, and premature mortality. A substantial proportion of patients with ESRD in developing countries may die without accessing renal replacement therapy. The World Health Organization (WHO) estimates that only 10% of those in need undergo kidney transplantation annually. Developing countries have a responsibility to address the organ donation and transplantation needs of its people, with a self-sufficiency based on resources obtained within a country or by regulated regional cooperation. If self-sufficiency in donation and transplantation is to be achieved, a comprehensive program must include a framework of national legislation with regulatory oversight; a program of deceased donation integrated into the national health system; an ethical practice of live donation that assures donor safety; donation and transplantation practices harmonized to global WHO ethical standards; and a program of preventive medicine that will avert an expanding population of patients with CKD. An article by Dr. Joseph Bernstein in Clinical Orthopaedics and Related Research (December 2017, Volume 475, Issue 12, pp 2845–2849 ) argues that a signaling mechanism might help deal with congestion in the Orthopaedic Surgery match. In congested markets, in which not every interesting applicant can be interviewed, signals are important. An application itself is a signal about an applicant’s accomplishments. Like a peacock’s tail, it shows how desirable a candidate is, i.e. why the program should be interested in the applicant. When a program receives too many applications it becomes more costly to read them all, but each one continues to convey the applicant’s accomplishments. What is lost when applications are easy to send is how interested the applicant is in the program. And, in a congested market, it helps to be able to signal not only how interesting you are, but also how interested, because programs that can’t interview every attractive applicant need to devote much of their interviewing to applicants who might ultimately be interested. In Economics, the AEA’s signaling system allows each candidate to send no more than two signals of particular interest in being interviewed, for free . Why [only] two? Because while it can be shown how one signal can unambiguously improve the process of selecting candidates for interviews , too many signals could harm the process. Suppose we allowed 50 signals: then the absence of a signal would start to be a signal itself (“this candidate must not be interested in us at all if he didn’t even send us one of his 50 signals…”) Signals get much of their value by being scarce. So when you can send only two, a program which receives one knows that you targeted them as one of only two recipients. To which programs should a candidate signal? We advise candidates not to send either of their signals to the very top programs in their field. Those programs can simply interview the candidates they like best, since they have good reason to believe that every application signals genuine interest. Signals will do the most good if sent to programs that should be interested in the candidate, but to whom it might not be obvious that he or she is interested in them. The resident match removes congestion from the process of making offers and accepting or rejecting them, since each participant can submit a long rank order list that is processed centrally . But interviewing remains congested, because interviews take time. It is worthwhile considering how changes in the market design  could smooth the process. Organizing a signaling system—and then monitoring how it works--seems like a promising step. Coles, Peter, John H. Cawley, Phillip B. Levine, Muriel Niederle, Alvin E. Roth, and John J. Siegfried, “The Job Market for New Economists: A Market Design Perspective,” Journal of Economic Perspectives, 24,4, Fall 2010, 187-206. Roth, Alvin E. “The origins, history, and design of the resident match,” JAMA. Journal of the American Medical Association, vol. 289, No. 7, February 19, 2003, 909-912. 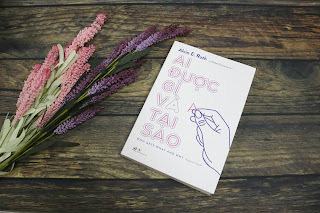 Roth, Alvin E. Who Gets What—and Why: The New Economics of Matchmaking and Market Design, An Eamon Dolan Book, Houghton Mifflin Harcourt, Boston, New York, 2015. Here's the story of one of the first kidney exchange transplants in Mexico, as part of a global kidney exchange chain in the U.S.
"Three months later [after the tests on the patient and donor] the call arrived. Within a few days, the donor / recipient verification protocol was initiated in order to reiterate compatibility. While the process lasted for 15 days, it ensured that the process went smoothly. They were operated by Dr. Michael Rees and his team, who explained the steps that would be followed for the transplant of Rafael and the donation of Beatriz. It was an operation of almost 11 hours. The recovery was quick, after two days Rafael was already walking and on the fourth day he was discharged. Beatriz's donation was a week later, with which she had saved two lives: Rafael's and her receiver's. In Pro-Renal we want to continue forming life chains. If you have a relative or know someone who has kidney failure and is waiting for a kidney transplant, we share the following requirements. How to access the Paired Renal Donation Program in Mexico? 1. To have a family member who, although incompatible with the patient, wishes and accepts to donate a kidney. 2. Once the couple enrolls in the program, different genetic tests and histocompatibility studies will be performed in order to record the information in the system. 3. The "Compatibility Algorithm" will be applied, which will determine the affinity with other recipient / donor couples. 4. When a potential match is found in the system, more advanced medical tests will be conducted to confirm the match. 5. Once the compatibility is identified, the patient can have a real live donor option, so that his medical institution can proceed with the transplant protocol. It is important to note that all couples who are candidates for transplantation must comply with the requirements required by the Ministry of Health and the General Health Law to determine the voluntary action of the donation." Even the judge acknowledged that his ruling was deeply problematic.
" The Bernieres ... were an Australian couple who couldn’t conceive the old-fashioned way. Unable to have a child without help, they journeyed from their home in Melbourne to a fertility clinic in India. The hopeful parents-to-be were advised that their best chances to conceive were to use an anonymous egg donor, and a gestational carrier. The couple entered into the arrangement in 2013, and in 2014 their child was born. They brought a baby girl back to Australia. But they made the mistake of asking a Victorian court to bless the arrangement, and declare them legal parents of their own child. The court did not feel so inclined. Justice Berman, the trial judge, agreed to let the child remain in the Bernieres’s care; however, he determined that they could not be found to be parents of the child because they did not meet the terms of the Victorian surrogacy statute, Section 60HB of the Family Law Act. The narrow statute requires that (1) surrogacy only be undertaken through a Victorian registered ART provider, (2) the procedure must be carried out in Victoria, and (3) the arrangement can only be altruistic (the surrogate cannot be paid). Further, the judge determined that without specific authority to find the Bernieres as parents to the child, his hands were tied. Despite the fact the Mr. Bernieres was both the biological and intended parent of the child, Justice Berman determined that Mr. Bernieres could not be declared a parent to the child. But unfortunately, that judgment meant that literally no one was a legal parent of the child. Justice Berman acknowledged that his ruling was deeply problematic for the child at issue, and noted the need for “urgent legislative change.” Two years later — and with no legislative change in sight — the case went up on appeal before the full panel of the Australian Family Court. In September 2017, the Family Court made its ruling. The Court affirmed the judgment that the judiciary had no authority to declare the Bernieres as the legal parents of the child. Here’s the order. It’s a megabummer. Thousands Of Children Affected. The broader tragedy is that the Bernieries did not represent an isolated case. Experts estimate that 250 Australian families conceive through surrogacy arrangements abroad each year. So the implication of this ruling is that there are thousands of children in Australia with no legal parents." The translation of a book about markets from English to Vietnamese is an opportunity to remember that markets, like languages, are ancient human artifacts. Markets and languages are both tools that human beings construct together to help us coordinate with one another, and that we constantly update to meet modern needs. Just as there are different languages, there are different kinds of markets, and different ways to organize them. Commodity markets are markets in which prices determine who gets what, and market participants can deal with one another anonymously. But many markets involve relationships, and in those markets you care who you are dealing with, and who gets what isn’t decided by prices alone. Matching markets are markets in which you can’t just choose what you want, but also must be chosen. Prices don’t do all the work in matching markets, and sometimes we don’t let prices play any role at all. Matching in one form or another determines who goes to which schools and universities, who gets which jobs, and who marries whom, and sometimes who gets certain kinds of medical care, like organ transplants. Most markets and marketplaces operate in the substantial space between Adam Smith’s invisible hand and Chairman Mao’s five-year plans. Markets differ from central planning because no one but the participants themselves determines who gets what. And marketplaces differ from anything-goes laissez faire because participants enter the marketplace knowing that it has rules. Market design is about finding rules to make markets work well. Often this is a process of trial and error. For example, in many countries, the process of school assignment and university admissions is riskier and more stressful for students than it needs to be. This book describes how my colleagues and I have helped make school choice safer and simpler for many American students, and made it likely that they will get schools that they prefer. Perhaps our experience can help Vietnamese economists and policy makers get some ideas about how to improve the famously stressful college admissions process in Vietnam. The book also describes how the system of matching doctors to their first jobs was redesigned in the United States and elsewhere, and some of the problems that had to be overcome in those markets, and similar ones. I hope this book will help readers look at who gets what and how in Vietnam, and find ways to make some of those markets work better. How Medicare steers low-income and minority kidney patients toward the hell of dialysis—and keeps two big companies rolling in profits. "The Trump administration is now allowing the remains of elephants legally hunted in Zimbabwe and Zambia to be imported to the United States as trophies, with officials signaling they will expand efforts to promote trophy hunting as a form of conservation. "The change applies to elephants shot in Zimbabwe on or after Jan. 21, 2016, and to those legally permitted to be hunted before the end of next year. The African elephant population in that country has fallen 6 percent in recent years, according to the Great Elephant Census project. It is relatively stable in Zambia, which has decided to renew hunting after having previously banned it because of several decades of sharp decline. "President Trump abruptly reversed his administration’s Thursday decision to allow elephants shot for sport in Zimbabwe and Zambia to be imported back to the United States as trophies, saying in a tweet Friday night that he was putting the decision “on hold” until further review. "Trump’s sudden tweet halted a decision by his own administration, announced by the U.S. Fish and Wildlife Service on Thursday, to end a 2014 government ban on big-game trophy hunting in Zimbabwe and Zambia, saying it would help the conservation of the species." Automated processing of data for the purposes of targeting services, penalties, or policing to persons. Summary: This bill would require agencies that use algorithms or other automated processing methods that target services, impose penalties, or police persons to publish the source code used for such processing. It would also require agencies to accept user-submitted data sets that can be processed by the agencies’ algorithms and provide the outputs to the user. Here's an article that I think does an unusually good job of explaining both the benefits of a unified enrollment school choice system, and some of the objections it is facing as it is introduced. 1 Application Will Cover Enrollment For IPS And Indy Charter Schools by ERIC WEDDLE. "A new online enrollment system for families to enroll their kids in grades K-12 for the 2018-19 school year at Indianapolis Public Schools and most Marion County charter schools begins Wednesday. "The so-called common enrollment process is a major shift for city parents and schools. Families will longer fill out separate paperwork for IPS magnet schools and neighborhood schools, or need to remember a smattering of enrollment deadlines among dozens of charter schools. "Cities, including Denver and New Orleans, offer a variation of the one-application approach. Support in Indianapolis has come IPS, the Mayor’s Office, most of the city’s charter schools and local education reform group The Mind Trust. "As the new system has been rolled out some have raised concerns over the complexity and transparency of the process. "Caitlin Hannon, founder of Enroll Indy, the local nonprofit managing the OneMatch enrollment system, says it creates equity by simplifying where families get information about schools and using a computer algorithm to match a child with an open seat. "The technology behind the system is similar to what is used for National Resident Matching Program through which most American doctors get their first job, according to the Institute for Innovation in Public School Choice which creates the algorithm used by OneMatch. "Families are expected to use Enroll Indy’s website to find a school that matches their need and interest, such as it academic performance, after-school care and transportation options. "Though OneMatch, also part of the Enroll Indy website, families can choose up to ten schools they would want their child to attend and rank the schools in priority. "The algorithm factors in priories associated with each student -- such as whether they live in a pre-drawn school boundary zone, if a sibling already attends a school and if a parent works for IPS -- and assigns a random lottery number. The system runs everyone’s choice at the same time and fills open seats based on those factors, Hannon says. IPS will no longer offer waitlist positions for programs that reach capacity. Rather, Hannon says, students will be assigned their top option based on availability. "Unlike in the past, Hannon says, the system will also explain to families why they did not get the school they wanted. "The new system requires all schools taking part to use a single enrollment application, follow three enrollment windows and use a random lottery process to select which students make it into popular academic programs. "But not all Indianapolis charter schools are taking part, including Christel House Academy. Carey Dahncke, head of schools, says the charter network is taking a wait-and-see approach to OneMatch for its two schools. “Our enrollment has been strong, so the idea of changing practice just didn't seem necessary,” he says. "Phalen Leadership Academy also did not sign on but two IPS innovation schools managed by the company will use OneMatch. "The two networks will continue to enroll students using their own system and deadlines. "The IPS Community Coalition, a group critical of ongoing changes within IPS, has described the OneMatch system as being akin to the dystopian Hunger Games series. In a recent Facebook post, the group said the enrollment system dictates schools choice, not the parents. "The parents only provide the list of 10. This starts to look like some strange robotic, authoritarian system of the allocation of scarce resources (the 'good' schools), kind of like the Hunger Games. This looks like an inhumane system, not a parent and child-friendly one," the group wrote. "In a public response, Hannon disputed the notion that families are not choosing their schools. "We don’t decide anything for families -- they just apply and we run a lottery -- the same way it’s been done for years but in a more efficient place so families don’t have to apply all over the city," she wrote. "Enrollment for 2018-19 will be held during three rounds: Nov. 15 - Jan. 15 with results on Feb. 15; Jan. 16 - April 15 with results on May 15; April 16 - June 15 with results on June 30. Late enrollment starts July 1. Enrollment for IPS preschool students will continue to be handled by the SchoolMint application system." The NABE Tech Economics Conference, Career Fair and Expo will be on the theme Economics in the Age of Algorithms, Experiments, and A.I., tomorrow and Thursday, November 15-16 in Seattle. Numerous kidney exchange (kidney paired donor (KPD)) registries in the U.S have gradually shifted to high frequency match-runs, raising the question of whether this harms the number of transplants. We conduct simulations using clinical data from two KPD registries—the Alliance for Paired Donation, which runs multi-hospital exchanges, and Methodist San Antonio, which runs single center exchanges–to study how the frequency of match-runs impacts the number of transplants and the average waiting times. We simulate the options facing each of the two registries by repeated resampling from their historical pools of patient-donor pairs and non-directed donors, with arrival and departure rates corresponding to the historical data. We find that longer intervals between match-runs do not increase the total number of transplants, and that prioritizing highly sensitized patients is more effective than waiting longer between match-runs for transplanting highly sensitized patients. While we do not find that frequent match-runs result in fewer transplanted pairs we do find that increasing arrival rates of new pairs improves both the fraction of transplanted pairs and waiting times. Update, Dec. 5: the paper is now in it's final form, early online, and you should be able to see the whole thing here.